Ahead of construction of a new bean processing plant in the Midlands, Frontier Agriculture has launched a premium contract for all UK bean growers. Frontier is offering an attractive base price of £35/t above November wheat futures with an additional £10/t premium for growers taking the company’s specialist bean agronomy package and achieving protein targets. The plant will be located at the company’s site near Nottingham. It will process beans to de-hull them, creating a UK-produced high protein, low fibre binder which can be used in the manufacture of fish food and other feed products. With protein levels approaching 30% de hulled beans are a better binder and a valuable source of protein, replacing wheat in aquaculture diets. 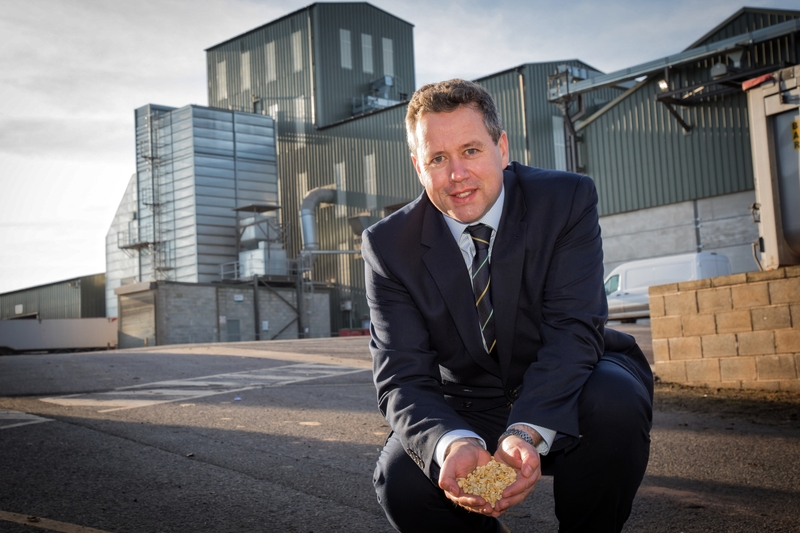 Nick Heald, commercial director and responsible for added value processing initiatives at Frontier, explains: “We are making a significant investment to open up this market for farmers and there are potential benefits to the whole supply chain. “For growers, beans are attractive agronomically as they offer an opportunity to widen the rotation, spread risk and increase gross margins across the rotation. In addition they enable farmers to supply a growing market demand for sustainable sources of protein. We are offering new contracts with a significant premium over standard feed beans. Meanwhile, for the end consumer, we are making a UK-produced sustainable protein source more readily available. “Additionally, we are offering advice and products as part of an optional bean agronomy package. Growers taking this could receive another £10/t if they follow our agronomy protocol and achieve 29% protein. We believe this is a realistic target for those taking our bean agronomy advice and using dedicated yield and protein boosting products. This is open to all growers, not just those who currently use our agronomy services for other crops. Feed bean quality and bruchid beetle damaged crops are acceptable for the aquaculture market. Base price £35/t premium to LIFFE wheat – example: Nov 2019 Liffe is £155/t, base price is £190/t. Base price can be fixed at any time prior to 15th of month prior to movement. £10/t additional premium to the base price will apply if Frontier agronomy package is used and 29% protein is achieved (growers do not need to have agronomy on other crops with Frontier to qualify). Agronomy package includes the application of new biostimulant products. Early results from trials indicate these products deliver on yield and protein. Contracts are available with immediate effect. Construction of the site has already begun and is expected to be complete late spring/early summer. Nick Heald, commercial director photographed at Frontier's Nottingham site says: "Beans could deliver on all fronts for farmers, economically, agronomically and environmentally."